Gaza City (Palestinian Territories) (AFP) - Israel's Prime Minister Benjamin Netanyahu warned Palestinian Islamist group Hamas on Wednesday of a "lethal" reaction to any renewed Palestinian violence on the Gaza border, after blocking aid to the strip in response to the wounding of an Israeli soldier. Weeks of relative calm in the Gaza Strip ended Tuesday when Israeli soldiers came under fire along the border with the enclave in two separate incidents. An officer was lightly wounded when a bullet hit his helmet. 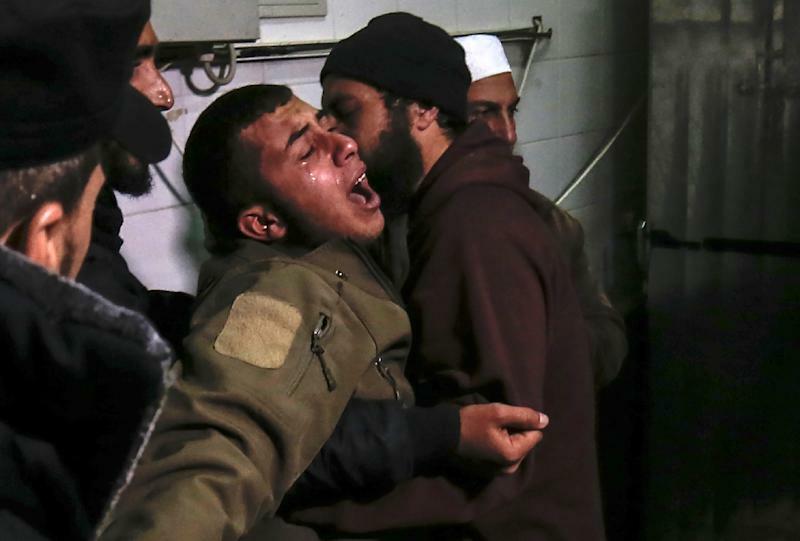 Israeli tanks in response struck two Hamas positions in Gaza, killing a militant, while overnight Israeli warplanes struck what the army said was a Hamas military camp in northern Gaza. Netanyahu blocked $15 million of Qatari aid that was expected to be transferred to Gaza, and told Israeli soldiers he would respond with force to any further hostilities. 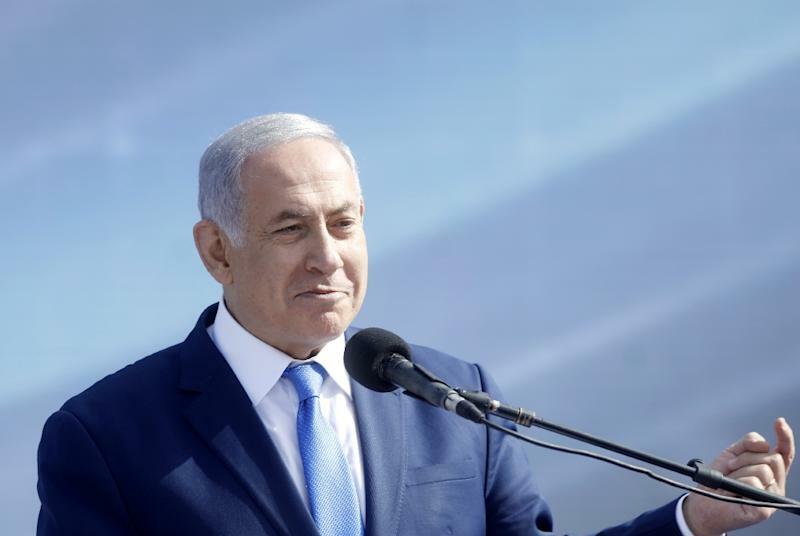 "Maybe there is someone in Gaza who thinks he can stick his head up; I suggest that they understand that the response will be lethal and very painful," Netanyahu said. "We are ready for any scenario and escalation," he said at a military exercise in southern Israel, quoted by his office. Israel and Hamas have fought three wars since 2008 and fears of a fourth round remain, although violence has abated since November under an informal truce. Under the agreement Israel has allowed Gulf state Qatar, a Hamas ally, to bring in aid to the strip, including $15 million a month to pay salaries of Hamas civil servants and assist impoverished residents. The January payment had been expected to enter Gaza on Wednesday or Thursday but Netanyahu blocked it after the flare-up, an Israeli official confirmed. Jamie McGoldrick, UN humanitarian coordinator for the Palestinian territories, said Gazans were still counting on the Qatari payment going ahead soon. "People want it to happen," he told AFP. "It was welcome." Qatar last year also provided Gaza with fuel deliveries to ease a severe electricity shortage. "I think the fuel that came in was seriously welcomed by everybody who was affected by it, which is the whole of the population in Gaza," McGoldrick said. At the funeral of the Hamas fighter Wednesday, mourners called for revenge as the body was accompanied by members of Hamas's military wing. Israel maintains a crippling blockade of the Gaza Strip, a densely-populated territory wedged between Israel, Egypt and the Mediterranean. The Jewish state says it is necessary to isolate Hamas but critics say it amounts to collective punishment of the enclave's two million residents. In November, Israel's defence minister Avigdor Lieberman resigned after accusing Netanyahu of being soft on Hamas following another flare-up. McGoldrick said any new uptick in hostilities would cause immense suffering for Gazans. "They live in a very fragile environment," he said. "If you were to interrupt that in any way, any type of escalation which would just slow down or make things more difficult, it's going to have a detrimental effect on hundreds of thousands of people here." Netanyahu is running for a fifth term in April 9 elections, having long portrayed himself as "Mr Security" to Israelis. Widely shared images of suitcases of cash being sent into Gaza through Israel could prove awkward for the right-wing premier. The father of Hadar Goldin -- an Israeli soldier killed in the 2014 Gaza war and whose body Hamas is still believed to hold -- told army radio Tuesday he believes the funds are ultimately going to Hamas. "That's what happens when you capitulate to terrorism," Simha Goldin said. 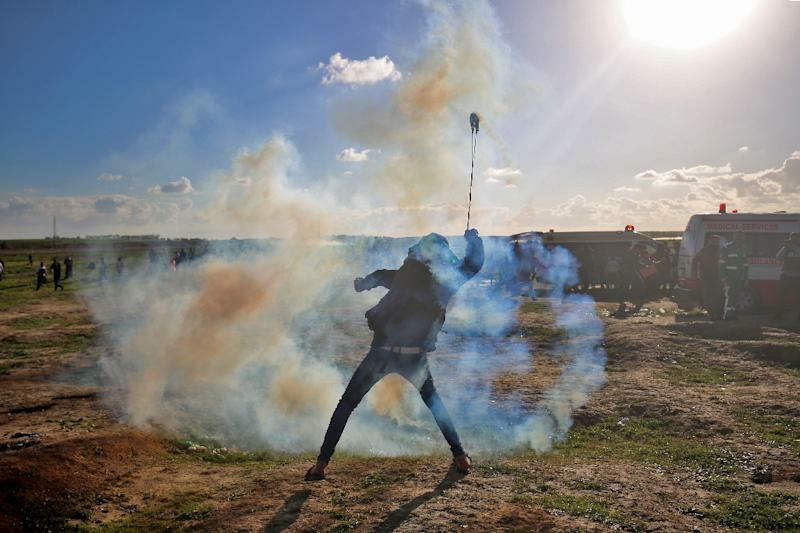 Gaza has seen weekly Hamas-backed demonstrations along the border since March 2018, with demonstrators calling for Palestinian refugees in Gaza to be able to return to their former lands now inside Israel. At least 244 Palestinians have been killed by Israeli fire since March, mostly during border clashes but also by tank fire and air strikes.